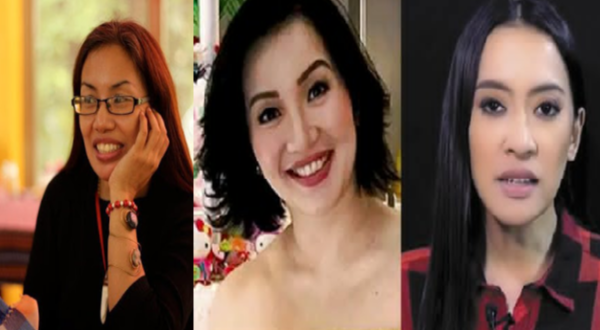 Trixie Cruz-Angeles, a lawyer, defended Presidential Communications Operations Office Assistant Secretary Mocha Uson, who was recently lambasted by actress Kris Aquino after she involved Aquino's parents in defending President Rodrigo Duterte's kiss with a Filipina in South Korea. Uson on Sunday posted a video of the late Sen. Benigno "Ninoy" Aquino Jr. receiving a kiss from two women on board a plane before he was assassinated in 1983 during the Marcos dictatorship. Aquino said that she is willing to face Uson after the latter crossed the line in involving the late Aquinos. To this, Angeles issued a reply, saying that under the law, citizens may criticize late political figures, despite our libel laws. "Ganito po kasi yon, tutoong meron nga tayong kostumbre at batas kontra sa mga nagsasalita ng masama laban sa mga yumao. Tutoo yan. PERO, does that apply to historical and political figures?" She made as an example how citizens are criticizing the first Filipino President Emilio Aguinaldo, and Ferdinand Marcos. She said the words are not unlawful, as the figures are part of history. "Tulad ng buhay na tao, may mga public figures din na patay na maaaring pagkumentuhan. Covered pa rin ito ng tinatawag na fair comment. Maari nating batikusin ang mga public figures dahil lumalabas sila at nagbibilad sa publiko. Kung baga, fair game sila. Kung naka display ka, pwede kang hangaan, pwede kang batikusin. Maari nating pag kumentuhan ang patay, lalo na't naging bahagi sila ng history natin kasi that is how studies will be made on them." Under the laws, fair commentaries are qualified privileged communication, which means that there is a presumption that the words were given in order to pursue a social duty. However, these are not absolute. Thus, if malice in fact can be proven, such as bad motive on the part of the source of the message, he may still be prosecuted. Angeles said, "Imagine nyo lang if it wasn't possible to say anything bad about our historical figures, eh di uulit ulitin lang natin ang masasamang ginawa kasi hindi natin mailalagay sa libro, or sa news o sa anumang pahayagan." She also invoked the people's constitutional right to freedom of speech. "The rule is still freedom of speech. Even when it comes to commenting on dead politicians. Even dead politicians with angry actress daughters." Aquino posted her sentiments on Facebook and Instagram. "Nung napanuod ko 'yung inupload mo para depensahan si Presidente Duterte (na ni minsan hindi ko pinakitaan ng hindi maganda) alam mo ba kung ano ang ginawa mo? Sinariwa mo ang sugat sa puso ng isang batang 12 years old nung pinaslang ng walang kalaban laban ang kanyang ama," she said. "Umiyak ako ng tuloy tuloy dahil nainggit ako sa 2 babaeng nakahalik sa Dad ko bago sya pinatay. Isang regalong hindi binigay sa nanay ko na walang tigil mo ring binabastos. Nangako akong hindi kita papatulan - but this time you crossed the line," she added. Meanwhile Uson has issued a reply to Aquino's statements, adding that what she meant was not to insult the former President, but to prove that kisses are not always meant to be malicious.